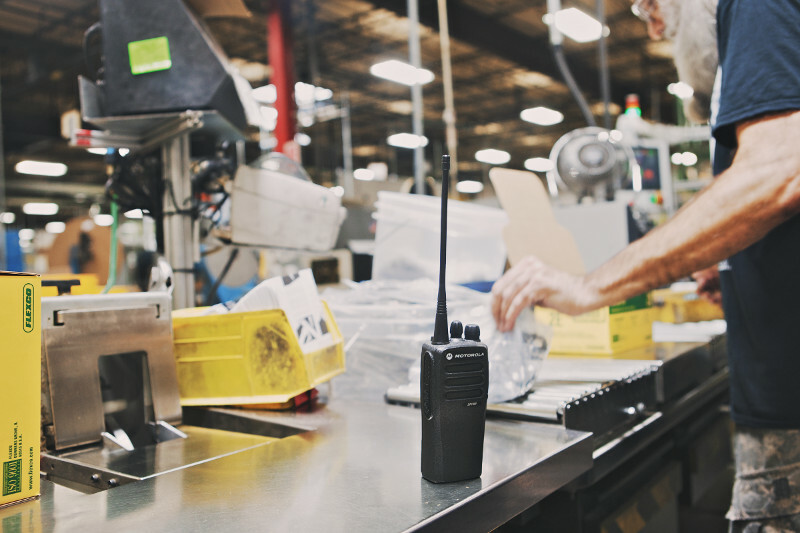 While radio devices have changed over the years becoming smaller, more lightweight and more feature-rich, the technology behind two way radios has largely remained the same until very recently, using analog technology to power communication. While much of the technology we use day-to-day has quickly become digital, two way radio is one of the last areas of professional communications to be touched by digital technology. But that’s changing – very quickly – and for good reasons. Clearer audio. A digital signal stays at its full strength until it reaches the maximum distance it can travel, unlike analog radio waves that “fade out” as they go. Because of the binary nature of its signal, it also has a very high level of noise rejection, making the voice being transmitted clearer. Greater distance. All other factors being equal, a digital signal can travel further than an analog wave, meaning you get a wider area of coverage between users. Extended battery life. The battery life for Motorola digital two way radios is up to 40% longer than the battery life of analog systems. This is possible because in a digital system, the radio transmitter is not constantly on. Sophisticated calling features. With analog systems, the features are typically limited to push-to-talk, scanning and one-to-many conversations. With digital two way radios, you have a wide range of features at your disposal – limited only by the capabilities of the specific device you own, and the network you are working on. “Spectral efficiency.” The increased use of radio communications has resulted in some over-crowding in frequencies. New regulations are emerging that require transmissions to be increasingly efficient, a demand that are best met with digital two way radio systems. Ease of transition. Many digital radios, such as Motorola MotoTRBO products, have the ability to operate in both analog and digital modes. If your organization currently operates in analog but is looking to make the shift to digital, this represents an excellent option to assist in the transition. Competitive Pricing – As the number of users of digital radios has increased, the price has also gone down. With over 1 million Motorola MotoTRBO digital radios in the market, the price is comparable and even at times better than analog radio options. The advantages of digital two way radio systems are becoming too great to ignore. Driven by these opportunities, digital systems are becoming the go-to option for organizations looking to have the advantage now, as well as those simply planning to meet the industry requirements that are soon to come. 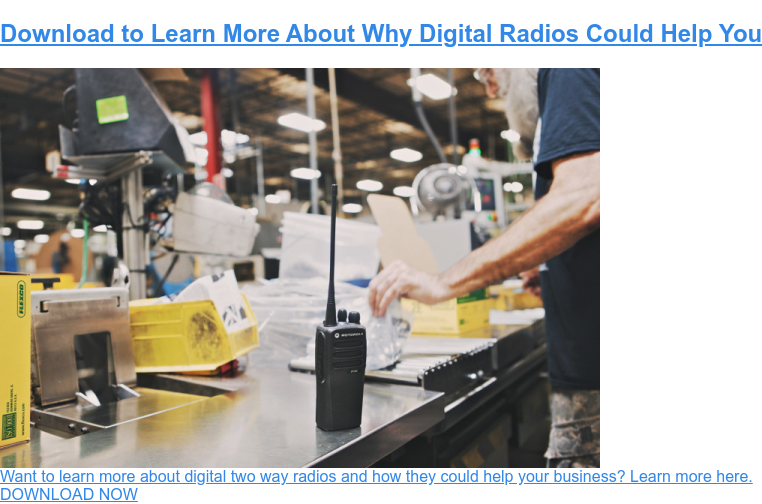 You owe it to yourself and your organization to consider digital two way radios as part of your communication solution. For step-by-step advice on how to choose the two-way radio best suited to your organization’s needs, download the FREE Portable Two-Way Radio Selection Guide. For customized advice from two way radio experts, get in touch with Nova Communications today, toll free: 1-877-721-7070. Sure, there are cell phones we can use, but just like you said they can’t compete with a two way radio. Especially on a job site! They are one of those things you don’t have to worry about losing a reception on. Thanks for more of the advantages.